Our June 2015 edition of From the Designer’s Desk features Bruce Campbell, an extraordinary designer of exhibition catalogues and restorer of vintage printing presses. Why did you pursue design, rather than, say, painting or architecture or sculpture? Actually, I went to graduate school as a printmaker. But then I saw a limited edition book that Joe Blumenthal had produced at the Spiral Press using his lovely Emerson type, and I fell in love with letterpress printing. The book was hand set in 24 point Emerson and beautifully printed on folded, loose, unbound leaves. I was interested in making small limited edition books so I learned to use a Vandercook press and started setting type by hand. I really wanted to start my own limited edition press wherein I would set the type, produce the illustrations and then print and bind the volumes. About this time I restored two old Washington Hand Presses and also became interested in writing the definitive book about them. This led me to contact many small printers that were using iron presses. But like most subjects, the closer I examined the idea, the larger it became! I met so many interesting printers and designers this way–such as Dard Hunter Jr., whose father, Dard Hunter, was a world authority on hand-made paper. Next, I started looking at catalogues from book design shows to see who the top designers and publishers were and then shamelessly went to visit them. The great thing about being young is that you are too naïve to know any better so I would just call up these people (who I later learned were giants in their field!) and ask if I could visit them. People like Bradbury Thompson, Bert Clark, Roderick Stinehour. Each one was so generous with their time, and I made it a point to repay the favor in future years whenever a young designer called me. Eventually I landed a job at Princeton University Press where the great designer P. J. Conkright had retired a few years earlier. Most of the books I worked on were unillustrated monographs, but I learned a great deal about typography in this way. 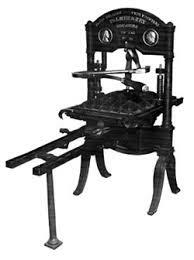 Back then, Princeton was one of the few remaining university presses that had their own printing plant and many books were still being printed by letterpress. Title-page designs were made by tracing the type from type catalogues. The display type was often set by hand, repro’d, and the finished paste up was done using those repros. 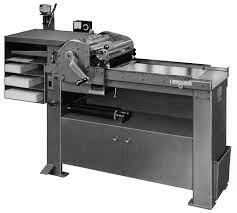 Sometimes, if a face wasn’t available in metal, we would set the type ourselves on a photo typositor, then photostat it down to the right size. 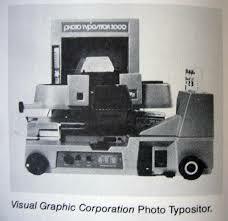 Photo typesetting was in its early years and systems such as the ZIP, the Monophoto, the Linotron were just getting started. At the time, I remember thinking that there was no way computers could ever be relied on to set type. I was so wrong! I stayed with Princeton for seven years before starting out on my own as a freelance designer. I tried to figure out how many books I would have to design to make the same salary I was making at Princeton. On paper it seemed there was no way it would work, but in actuality it was not that hard. But I was also incredibly lucky. I won the design competition for the Library of America and suddenly had a fantastic client. And it was because of my work at the Library of America that I started designing catalogues for The Metropolitan Museum of Art. The majority of my work since then has been for art museums. Is your work on a book project usually more of a slow, progressive effort, or is it moved forward by unpredictable moments of inspiration? I wish it was a slow progressive effort. But more often than not it’s a fast progressive effort! Production schedules keep getting shorter and shorter, and everyone is used to getting things right away. The inspiration for me comes at the beginning of a project: reviewing the material, finding an appropriate trim size, margin, typeface(s), type size and leading. How is the subject matter best communicated? What is the proportion of text to images? Once the design is approved, I move forward spread by spread in roughly 20% increments. Often art catalogue sections start on new spreads and must end on spreads so you are continually laying something out, seeing where it ends, and then adjusting it to fit. Have you ever completed a project and only after the book was printed did the perfect (or, at least, a better) design solution occur to you? As most designers will tell you, by the time a book is done, we are so busy on other projects that we rarely have time to consider if there was a better solution to the material. But there are always other solutions. Do you feel that a book’s design can, or even should, play an assertive role in how a reader experiences the book, or do you feel the best book design is a kind of behind-the-scenes art – where the reader isn’t even always aware of the influence of the design? I think a designer is always playing a role in how a reader experiences a book from the type selection, type size, leading and line length to the placement and size of illustrations. Of course many people are not even aware that books have to be designed. My parents fell into that group. But when a person reads a book and finds the reading easy, the material accessible, and the subject inviting, you can bet that a competent designer was at work. There are so many things that a designer does to help a reader access the material: Are the figure references on the same page or spread as the illustration? Does the hierarchy of the subheads make sense? If the notes are at the back of the book, is it obvious which notes go with which chapter? One of my favorite things is to spend a rainy Saturday at a bookstore. I am constantly inspired by great design solutions that other designers come up with. I came across a book several years ago designed by Susan Marsh called Infinite Jest: Caricature and Satire from Leonardo to Levine — what a great design! The material was handled so brilliantly and effortlessly. I looked at every spread in detail and it was great seeing the solutions this designer came up with. I’ve learned so much about typography from studying the work of other people. Early in my career I remember seeing a small book that Bert Clark had designed. On the contents page he used these small cap lines that were letterspaced wider than I had ever seen before and then followed it with a line of italics. It was the loveliest thing and was so effective. There are so many that I can’t name them all. But I’m a sucker for text types that have beautiful italics. Who are your favorite book designers? I have always been a fan of the books designed by Bradbury Thompson, Stephen Harvard and Peter Oldenberg. In truth, though, there is not enough room to name my all favorite book designers. An Exaltation of Larks designed by Samuel Antupit in 1968. It was in the AIGA Fifty Books of the Year show and the first book I bought based solely on the design. What has design taught you? To be less critical. Years ago I was having dinner with Stephen Harvard and several other book designers and as we were leaving the restaurant we saw a crudely lettered sign that a shopkeeper had in a window. Some of us were making fun of the poor letterforms, alignment and spacing. But Stephen pointed out that we missed the mark entirely. To him this sign was a beautiful form of personal expression. Of course he was right, and it changed how I looked at things from then on.